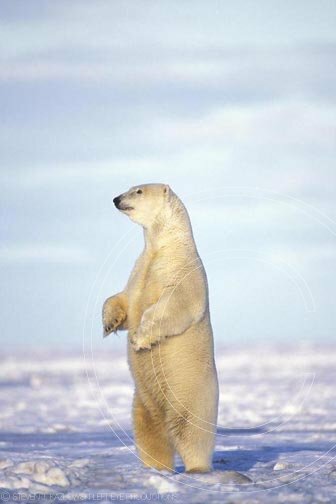 SHIPPING $25.00 U.S., $40.00 OUTSIDE U.S.
polar bear, Ursus maritimus, sow standing and surveying the coast, 1002 coastal plain of the Arctic National Wildlife Refuge, Alaska polar bear, bear, white bear, sow, nanook, marine mammal, mammal, animal, wildlife, fauna, predator, carnivore, omnivore, 1002, 1002 coastal plain, 1002 area, arctic national wildlife refuge, anwr, national wildlife refuge, nwr, alaska, ak, north america, tundra, beaufort sea population, pack ice, threatened, endangered, global warming, vertical, standing, galleryone, © Copyright Steven J Kazlowski & Left Eye Productions. Images included in this database are protected under national and international copyright laws. Images may be used for comping purposes only and remain the property of Steven J Kazlowski and Left Eye Productions until authorised for use by purchase. Terms and conditions may apply. © Steven Kazlowski Left Eye Productions. All Rights Reserved.